First of all what is SAMBA? It’s a free File and Print server which can be used in Linux and UNIX based Oss for file and printer sharing with windows machines. So now you got the idea. But why use Samba with Ubuntu? First it is free! When configured, works smoothly. Less need of worrying about viruses and many more advantages are there. Here I’m using Ubuntu 12.04 desktop version in a pc with an Atom processor. The main aim is to setup a server which is only used for file/print sharing + backups. So here I’m not worrying about high end hardware. Also here I’m not considering security issues. File and printers are shared so anyone in the network have access to them. In this machine I have created 4 partitions. First one for OS, second swap space, third for file storage, fourth for file backups. Last 2 partitions are not given mount points. So let’s do something to auto mount them at system startup. For this using pysdm is a good solution. Find how to do this here. Open a terminal and give the following command to install SAMBA and a gui tool. If you wish you may backup this file first. Remove all the current content and add the following to this. In global settings, you may already understand that workgroup is set as “workgroup”. You may change according to the workgroup you use in your network. “netbios name” is the name which you see this server in other machines when shared. Security is set to share. You can set this to user and restrict some access permissions. You may try it later. Here I’m sharing /media/sda6/DI-Files folder so anyone in the network could have read and write access to that folder. So you are done. Restart SAMBA services by giving following commands. Great!!! Try copying files and deleting them. Adding shares can be done easily using the SAMBA GUI tool as. Search for SAMBA application (system-config-samba) and open it. Now you are done with file sharing. In the next post we’ll look at Printer Sharing, Regular file backups and remote access to the Ubuntu machine using Windows Remote Desktop Connection. මීට පෙර ලිපියෙන් මම කීවා මතක ඇති මාධ්‍ය සංස්කරණය පිළිබඳ වැඩමුළුවක් ගැන. කියන්න බොහොම සතුටුයි ඉතාම සාර්ථකව වැඩමුළුව පවත්වන්න හැකි උනා. විශේෂයෙන් සඳහන් කරන්න ඕනි ඒ ලිපිය බලලම ආපු අයත් හිටියා. පුදුම සතුටක් දැනුනා කට්ටිය එක්ක කථා කරද්දී. දවස් දෙකම සලකද්දි 350ක් 400ක් වගේ පිරිසක් සයභාගී වෙලා තිබ්බා වැඩමුළු වලට. මුල ඉඳන් කථාව කියන්නම්කෝ. මේක ඉස්සෙල්ලාම සංවිධානය වුනේ මාධ්‍ය සංස්කරණය පිළිබඳ තරඟයට උදව්වක් වශයෙන්. වැඩමුළුව ගැන විස්තර කියලා ආසන වෙන් කරගන්න කියලා මම ඉන්ටර්නෙට් සම්පත් භාවිතය රේඩියෝ වැඩසටහනේ කියපු වෙලේ ඉඳන්ම මටයි මාධවටයි දුරකථන ඇමතුම් එන්න ගත්තා. මම එවේලේ SLBC එකේ මැදිරියේ සිටි නිසා ආපු එක දුරකථන ඇමතුමකටවත් උත්තර දෙන්න බැරි වුනා. වැඩසටහන මෙහෙයවන ජයසිංහටත් මම පෙන්නුවා එන ඇමතුම් ප්‍රමාණය. එවෙලේ නම් මාධවට සෑහෙන්ට ඇමතුම් එන්න ඇති මොකද මම එකක්වත් ගන්නේ නැති හින්දා. මුලදී මේ වැඩමුළුව සංවිධානය කරන්න හිටියේ අපි 5 දෙනෙක් විතරයි. මම, මාධව, අනිල්, Shazan, හා ප්‍රනීත් මල්ලි. පෝස්ටර් සකස් කරන තැනේ ඉඳලා අන්තිම මොහොත වෙනකම්ම මේ ටික දෙනා මැරීගෙන වැඩ කළා. අන්තිම දවස් වෙද්දි ගොඩක් අය තව උදව් කරන්න ඉදිරිපත් වුනා. ගොඩක් දවස් වලදී අපි නිදියනකොට පාන්දර 1,2 වෙලා. අවසානයේදී තමන්ගේ කථාවේදි හර්ෂ මල්ලි කීවා වගේ, කොම්ප්සොක් වැඩක් විදියට පටන් ගත්තු මෙය අන්තිමේදී UCSC එකේම වැඩක් වුනා. වැඩ කරන්න ආව හැමෝම ආවෙ තමන්ගෙ කැමැත්තෙන්. මතක් කරන්න ඕනි මීට කාලෙකට කළින් මේ තරඟය සංවිධානය කළ සංවිධාන කමිටුවේ හිටි අයත්. එදා ඉඳන් අවසන් දවස වෙනකම්ම සෑහෙන ඇමතුම් ප්‍රමාණයක් ආවා. මාධවත් මාත් ඒ අයට උත්තර දෙන්නත් ආසන වෙන් කරන්නත් මහන්සි වුනා. ඈත පාසල් වලින් අපිට ගොඩක් හොඳ ප්‍රතිචාර තිබුණා. සෑහෙන පිරිසක් කීවේ ඒ අයට තව වැඩිපුර ආසන සංඛ්‍යාවක් දෙන්න කියලා. පුළුවන් විදියට ඒ අයගේ ඉල්ලීම් අපි ඉටු කළා. ඒ අතර කළුතර දිස්ත්‍රික්කයේ එක්තරා පාසලකින් ලැබුණු ප්‍රතිචාරය නම් ඉතාම නරකයි. කවුරුන් නමුත් තේරුම් ගත යුතුයි මෙච්චර මහන්සි වෙලා අපි මේවා සංවිධානය කිරීමෙන් අපිට ලැබෙව එකම දේ මානසික තෘප්තිය පමණක් බව. මෙහෙම අපේ නිවාඩු කාලය කැප කරගෙන සංවිධාන කටයුතු සිදුවෙද්දී දවසක් දවල් කෑම ගන්න වෙලාවේ මට කෝල් එකක් ආවා. “හෙලෝ සංජය. මේ UCSC එකෙන් කථා කරන්නේ. 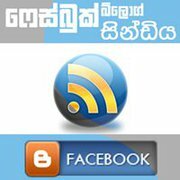 CompSoc එකේ Workshop එක දාලා තියෙන්නේ 4,5 නේද? ඒ දවස් වල හෝල් බුක් කළාද ? Overlap එකක් ගිහින් තියෙනවනේ” මේක අහපු මම සෑහෙන කලබල වුනා. ඔක්කොටෝම එන්නයි කියලා හෝල් නැති උනොත් ….? කොහොමින් හරි මාත් මාධවත් ගිහින් අනිල්ගෙත් මැදිහත් වීම ඇතුව ප්‍රශ්නය නිරාකරණය කරගත්තා. 3rd year lab, 4th year lab, IRQUE lab, w002 හා Auditorium යන සියල්ල වෙන් කර ගත්තා මේ දවස් දෙකට. UCSC Academic Branch එකේ අය කළ උදව් ස්තුති පූර්වකව මතක් කරන්න ඕනි. අපිට Video Editing workshop එක කරන්න UCSC ADMTC එකෙන් සහයෝගය ගන්න හැකි උනා. Image Editing Workshop එක අපේ සහෝදර සහෝදරියන් විසින් කරන්න තීරණය කෙරුණා. ඒත් Audio Editing පිළිබඳ ගැටළුවක් පැන නැඟුනා. ඒ වෙලාවේදී බ්‍රයන් අයියගේ මැදිහත් වීමත් එක්ක අපේ UCSC එකේම අධ්‍යාපනය ලැබූ උදිත ජයසිංහ අයියගේ උදව් ගන්න හැකි උනා. උදිත අයියත් දහසක් රාජකාරි මැද්දේ උනත් ගොඩක් කැමැත්තෙන් සහයෝගය දෙන්න ඉදිරිපත් උනා. 28 වෙනිදයින් පස්සේ කලින් රික්වෙස්ට් දාපු අයට දවස් හා කණ්ඩායම් වෙන් කිරීම සිදු වුනා. ඒ පිළිබඳ වැඩි බරක් අරන් වැඩ කලේ මාධව. ඔන්න ඔක්තෝබර් 3 වෙනිදා, ඒ කියන්නේ වැඩමුළුවේ ප්‍රථම දිනයට කලින් දවස, උදේ මට කෝල් එකක් ආවා බණ්ඩාරවෙල විද්‍යාලයක ගුරුතුමියකගෙන්. මම අන්තිමට කීවා 8ට වගේ එන්න ඕනි පුළුවන් ද ඒ වෙලාවට එන්න කියලා. පස්සේ මට දැනගන්න ලැබුනේ ඒ වෙනකොටත් ඔවුන් කොළඹ ඇවිත් නවාතැන් අරගෙන. මට පුදුම සතුටක් ඇති වුනා ඔවුන්ගේ උනන්දුව ගැන. ඉතින් එදා කැම්පස් එකට ගොඩක් අය ඇවිත් හිටියා වැඩ කරන්න. කොම්පියුටර් වලට සොෆ්ට්වෙයා දාන එක තිබ්බ එක වැඩක්. හිතුවට වඩා වැඩේ බරපතල උනා. ගැටළු ගොඩක් ආවා. ඒ හැම එකක්ම වගේ මැඩගෙන කටටිය වැඩ කළා. අන්තිමේදි පස්සේ දවසටත් වැඩ ටිකක් ඉතුරු වුනා. කොහොමින් හරි වැඩමුළු සාර්ථකව පැවැත්වුනා. පළමු දවසේ Audio Editing Workshop එකට උදිත අයියාත් අපේ සුරංග සොයුරාත් සම්පත් දායකත්වය දුන්නා. උදිත අයියා ගොඩක් හොඳින් වැඩමුළුව මෙහෙයවූවා. දෙවන දවසේදී සුරංග හා චත්‍ර සොයුරන් වැඩමුළුව මෙහෙයවූවා. විශේෂයෙන් කියන්න ඕනි අපි හැමෝගෙම සිත් ගත්තු බ්‍රයන් අයියගේ ලෙක්චර් එක ගැනත්. Video Editing Workshop එක ADMTC එකේ සඳරුවන් සර් හා ප්‍රභාත් සර් විසින් මෙහෙයවූවා. තව අපේ රුවන් සෙනෙවිරත්න සොයුරාත් Junior Batch එකේ නංගි කෙනෙකුත් ඊට එක් උනා. Image Editing Workshop එකට අපේ හා Junior Batch එකේ බොහෝ පිරිසකගේ සයයෝගය ඇතුව ඉතා සාර්ථකව කෙරුනා. ඔවුන්ගෙ නම් කියන්න යන්නේ නැත්තේ එක් කෙනෙක්ගෙවත් නමක් මඟ ඇරුනොත් හරි නෑනේ. මහේෂ්‍යා Expression Blend Design ගැන කියල දුන්න. Adobe Premiere, Movie Maker, Cubase, Wavelab, Reason, Musix, Audacity, Adobe Audition, Adobe Photoshop, Adobe Illustrator, Microsoft Expression Blend Design වැනි මෘදුකාංග ගැන පුහුනුවක් ලබා දුන්නා ආපු අයට. ඉතින් ඔන්න දවස් දෙක ඉවර උනාම අපේ කට්ටියට පුදුම සතුටුයි. එකක් ඉතාම සාර්ථකව වැඩ ටික නිම වුනා. අනිත් කාරණේ කට්ටියගේ Feedback. හමු වෙලා කථා කරපු අයගේ තිබ්බේ පුදුම සතුටුදායක හැඟීමක්. ගොඩක් හොඳ ප්‍රතිචාර තිබ්බා. අඩුපාඩුවක් විදියට කියලා තිබ්බේ වෙලාව මදි කියලයි, වේගෙන් කළා කියන එකයි. ඒකට ඉතින් කරන්න දෙයක් නෑ. තියෙන සම්පත් උපරිමයෙන් ප්‍රයෝජනයට අරන් උපරිම දෙයක් අපි දෙන්න උත්සාහ කළා. සුළු අඩුපාඩු ඇති. ඒ ගැන සමාව ඉල්ලනවා. කියන්න ඕනි විශේෂ දේවල් කීපයක් තියෙනවා. වැඩමුළුවට ආපු අය තමන් කැම්පස් කොල්ලෙක් කියලා හිතේ මවන් හිටියේ නාහෙට අහන් නැති කොල්ලේක් නම්, ඉවරවෙලා එළියට යද්දි ඊට හාත් පසින්ම වෙනස් දෙයක් ඔවුන්ගේ සිතේ මැවුනා නොඅනුමානයි. පහත මම දාන්නම් විවිධ ආකාරයෙන් ලැබුනු ප්‍රතිචාර කිහිපයක්. හපුතන්ත්‍රි මහත්තයා කෝල් එකක් දීලා තිබුනා. මට ඒක ගන්න බැරි උනු නිසා ආයෙ ගත්තම එතුමා කීවේ මෙහෙම කථාවක්. මේ ගැන මාධව ලියපු ලිපිය මෙතනින් බලන්න. ඡායාරූප පහත ලින්ක් වලින් බලන්න පුළුවනි. …:::: CompSoc Media Editing Workshop [4th & 5th Oct]::::…. කියන්න අමතක උනා Feedback වල, සාර්ථකත්වය දරාගන්න බැරුව ඊර්ෂ්‍යාව ප්‍රකාශ කළ අයත් හිටියා. ඵල ඇති රුකටලුනේ ගල් පොලු වදින්නේ. IFO කාලෙත් ඕවා තිබ්බා. පහතින් තියෙන්නේ Workshop ඉවරවෙලා අස්පස් කරල, සිංදු කියලා එහෙමත් ඉවර වෙලා කට්ටිය එක්ක පින්තූරයක්. කීප දෙනෙක් ඇරෙන්න සහයෝගය දුන්නු හැමෝම ඉන්නවා මෙතන. සැමට සිරි සුභ නව වසරක් වේවා! සිරි සුභ නව වසරක් වේවා!